It’s almost six years now; six years since I was introduced to world of the Appalachian Trail. For years I found myself in near constant research as I dreamed of setting out on my own adventure. It became my obsession. Throughout my years of fixation I have always been fascinated by the culture and the history surrounding the Trail. In the annals of history the mere existence of the Trail can be added to the long list of human efforts unlikely to ever succeed. It’s a two-foot wide stretch of land winding nearly 2,200 miles through backwoods America that’s creation and continued survival are largely the result of volunteer labor that has fostered a unique community with its own culture, traditions, and even folk-heroes. What’s the deal with Springer Mountain? The southern terminus is one of the most important milestones in any thru-hiker’s journey. It’s rivaled perhaps only by its bigger sister, the northern terminus atop Mount Katahdin. It signifies either the beginning or the end of any thru-hiker’s great pilgrimage. Now let’s forget for a second that the Trail begins and ends with these two landmarks. Imagine that they were both just another stop along the Trail. I think we can agree that just about all hikers remember Mount Katahdin quite vividly. It’s our own Lonely Mountain (minus the dragon). The climb is the toughest you’ll find on the trail and the 360 degree views from Baxter Peak are unparalleled. It leaves quite the impression. Take away its plaque and it’s impression begins to fade. The climb up is far from being the hardest on the Trail (especially if you drive) and the view from the summit isn’t exactly something to write home about either when compared to other sites along the AT. 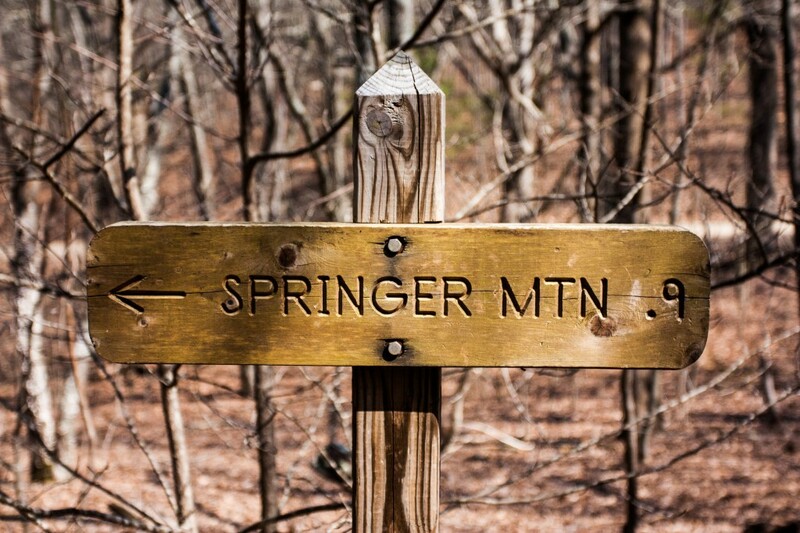 So have you ever wondered why Springer Mountain is the southern terminus of the Appalachian Trail? For that matter, why does the Appalachian Trail end in northern Georgia at all? There is almost always a method to the madness, right? Why does the Appalachian Trail Start/Stop in Northern Georgia? Yet, the nature of the Appalachian Trail is fluid. Every year the trail grows or shrinks several miles due to reroutes and other various alterations. The Trail has undergone near constant change throughout its entire history. For example, as of 1925 the trail wasn’t even planned to reach Katahdin. A map proposed by Benton Mackaye at the 1925 Appalachian Trail Conference (which would later transform into the Appalachian Trail Conservancy) shows some of the initial plans for the trail. Originally the trail was mapped to a northern terminus atop Mount Washington in New Hampshire. The path to Katahdin was just to be a mere “extension” of the Trail as opposed to the primary route. Benton MacKaye proposed this map to the group forming at the Appalachian Trail Conference in Washington March 1925. The reality of Mackaye’s vision was that he intended the Appalachian Trail to be a spine of sorts. It would be a primary corridor from which many other trails could branch off into other regions of Appalachia. While the the plan to venture into Alabama was not an “official” part of the Trail Mackaye envisioned one of these spurs guiding hikers all the way to Birmingham, AL. It’s possible that Mackaye eventually planned for these extensions to become parts of the official Trail. After all Katahdin clearly made the cut before the end. But alas, short of going back in time and asking the man we’ll have to rely on speculation. In fact, while Mackaye is largely responsible for starting the efforts for the Trail’s construction he actually left the project in 1935, two years before the Trail was completed. You see, the other large player in all this was a man named Myron Avery. Avery can be largely credited with the efforts of gathering teams to go out, scout, and map the Trail eventually connecting the AT’s sections together into one continuous footpath. It’s no secret that Mackaye and Avery didn’t always see eye to eye when it came to the trail. Let’s just say Avery’s efforts were mostly focused on giving folks a place to hike while Mackaye’s vision was a little more profound. In any case Mackaye’s departure from the project resulted in any remainder of his vision falling by the wayside. Avery continued with his efforts and officially completed the Appalachian Trail in August of 1937. Funnily enough you could say part of Mackaye’s vision is alive and well today in the Pinhoti National Recreation Trail. This trail connects to Springer Mountain by way of the Benton Mackaye Trail. This allows hikers who wish to venture past the southern terminus into Alabama the opportunity to do just that! Why is Springer Mountain the southern terminus of the Appalachian Trail? Take another look at Mackaye’s map above. You’ll notice that the Southern terminus is not Springer Mountain. Rather we find the terminus at Cohutta Mountain approximately 25 – 30 miles to the northwest of Springer. In fact, unlike Katahdin, Springer Mountain is not even depicted on this map. The fact of the matter is that Springer Mountain was never intended to be the southern terminus of the Appalachian Trail! Back in the 1920s & 30s the South was lacking in both hiking trails and groups to maintain them. Also it so happens that many of the main pushers for the Trail were mostly northerners. For example, Mackaye himself was from Connecticut while Myron Avery hailed from Maine. As a result these chaps did not possess the greatest knowledge of southern Georgia wilderness. So the southern path depicted on the 1925 plan was largely determined from looking at maps as opposed to actual knowledge of the lay of the land. Further scouting and planning for the route in the south was carried out by a forester by the name of Roy Ozmer. Ozmer scouted the southern area of the Trail starting in Virginia and onward. While many of the conference officials favored the thought of Cohutta Mountain as the southern terminus Ozmer’s efforts, as well as a little politikin’, convinced the group to look elsewhere. In the end they named Mount Oglethorpe the official southern terminus of the Appalachian Trail. Oglethorpe sits approximately 13 miles south and slightly west of Springer Mountain. Mount Oglethorpe remained the southern terminus of the Trail for 19 years. In 1956 it was the Georgia Appalachian Trail Club that recommended the relocation of the southern terminus of the Trail. Issues including vandalism, uncooperative landowners, and trail-side chicken coops affecting trail conditions influenced the decision. The ATC agreed and efforts were set in motion to find a new southern terminus for the Trail. At this point sights were still not yet set on Springer Mountain. 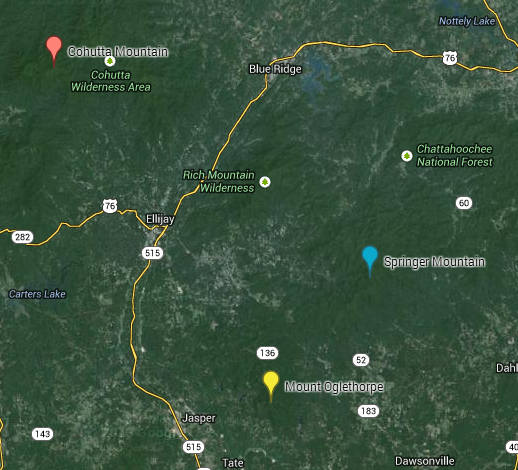 The group investigated several sites for the new terminus including Fort Mountain, Amicalola Lake, and Frosty Mountain. So how did Springer Mountain win out? They abandoned Fort Mountain as it was simply too far away. Located near Cohutta Mountain, setting the terminus there would have required an additional 40 miles trail construction. This would have resulted in even more time and land acquisition to complete the Trail. Amicalola Lake and Frosty Mountain were also passed over as the ATC deemed them to be too accessible to the general public. One of the problems with Mount Oglethorpe is that the summit was directly accessible via road. This road allowed local vandals to reek havoc on Oglethorpe’s summit, particularly to the stone monument to James Oglethorpe already atop the mountain. The ATC hoped to find a location that would not allow similar action to occur. Eyes then turned to Springer Mountain. Springer possessed a convenient access point via a blue-blazed approach trail from Amicalola Falls. The approach trail allowed access to the remote mountain, but was still challenging enough to prevent public crowds to easily reach the summit. This would hopefully limit potential vandalism to the site. More importantly Springer Mountain resided on public land rather than private land. This would help prevent Springer from succumbing to the land rights issues that plagued its predecessor. The mountain was so conveniently positioned to allow the terminus to retain the remote feeling of wilderness so many hikers seek on the trail without the need for huge miles of new trail construction and land acquisition battles. Therefore, the ATC crowned Springer Mountain the new Southern terminus of the Appalachian Trail in 1961. Since then the title has remained unchanged. “Appalachian Trail in Georgia – GeorgiaTrails.com.” Appalachian Trail in Georgia – GeorgiaTrails.com. Fannin County Chamber of Commerce, n.d. Web. 17 Mar. 2014. <https://www.georgiatrails.com/gt/Appalachian_Trail_in_Georgia>. King, Brian B. “The Era of Trail-Building.” Editorial. Trail Years: History of the Appalachian Trail Conference 2000: n. pag. Appalachian Trail Conservancy – History. Appalachian Trail Conservancy. Web. 17 Mar. 2014. <https://www.appalachiantrail.org/docs/default-document-library/2011/04/16/Trail%20Years-%20A%20History%20of%20the%20Appalachian%20Trail%20ConferenceCDCFD2F2022D.pdf>. Logue, Victoria. “Springer Mountain.” The Story Behind Springer. N.p., n.d. Web. 17 Mar. 2014. <https://www.planetanimals.com/logue/Springer.html>. Mackaye, Benton. “Proposed Appalachian Trail Route In 1925.” The Courant. N.p., n.d. Web. 17 Mar. 2014. <https://www.courant.com/news/connecticut/hrt-hc-at-mackaye-1925-map-20121123,0,5112859.photo>. “No Need to Extend Appalachian Trail to Alabama.” Online Athens. N.p., 22 July 2008. Web. 18 Mar. 2014. <https://onlineathens.com/stories/072208/opinion_2008072200193.shtml>. Shofner, Nancy. Keepers of the Trail. Publication. Georgia Appalachian Trail Club, n.d. Web. 17 Mar. 2014. <https://joomla.georgia-atclub.org/publications/KeepersOfTheTrail.pdf>. Werner, Philip. 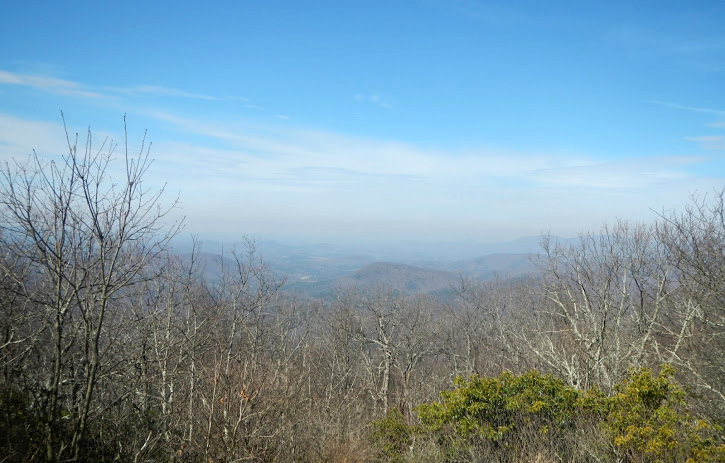 “Benton Mackaye’s Appalachian Trail Essay.” Section Hikers Backpacking Blog. N.p., n.d. Web. 17 Mar. 2014. <https://sectionhiker.com/benton-mackayes-appalachian-trail-essay/>.